Safe for use in schools, hospitals and in areas where heavy machinery is present. 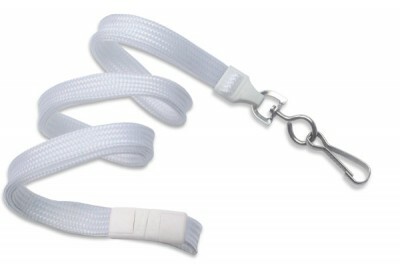 This Flat Braid breakaway lanyard with nickel-plated swivel hook is made from a durable polypropylene material. It features a black breakaway clasp, which releases quickly in unsafe situations. The lanyard comes with a nickel-plated steel swivel hook for attachments such as badge holders, and is available in different color options.